“The people want to vote!”–the most oft-repeated catchphrase of the lottery debate. Even politicians who declare themselves personally opposed to a state-run lottery try to justify their support of it because “the people want to vote.” But politicians know full well that they have not been honest with the people when it comes to a lottery–that this debate isn’t over whether or not they should be able to buy scratch-offs in Alabama. No, for politicians and for bureaucrats, the lottery is merely a means to an end–and that end is bigger government. If the people only knew what was really going on in Montgomery, they would staunchly oppose giving politicians more of their money to spend. Despite the fact that Alabama’s government spends more money every single year, to most politicians and bureaucrats, nothing in state government has been or will ever be “fully funded.” Around the State House, these men and women flippantly and unapologetically discuss getting their hands on more of the people’s money–never mind that most Alabamians can’t afford to give away more. This year, the state spent $29 billion of the people’s state and federal tax dollars only for state leaders to then tell the people that Alabama faces a dire budget “crisis” over a request to spend $85 million more–a mere 0.29% of what has already been spent (and, if it were vital, then it could have been found). These now-annual “crises” are self-imposed by politicians who are constantly looking to pilfer more of the people’s money because they’ve given up on dealing with our state’s spending problem at its roots. To put it simply, the spenders have a want, but they’ve done a good job convincing the people that it’s a need. Attempting to reason with his colleagues on Friday, one senator reminded them that government will always find a way to spend every single penny that it takes in. And having more money to spend in the short term will continue to cover up the unsustainable fiscal trajectory that the state finds itself on. The government’s insatiable spending addiction will not be satiated with lottery revenue–it will be stimulated. Critical policy proposals that would help place our state on stable financial footing for the long term will not see the light of day. As a result, it won’t be long before our politicians realize that lottery revenue can’t support their spending problem. Where will they look for money next? Not only will the lottery-fueled growth in government almost instantly have to be sustained by other forms of revenue (i.e., more of the people’s tax dollars), but the cost of a state lottery will show up in other ways. For the state to net the governor’s $225 million estimate (more on that here), the people--every Alabamian eighteen years of age or older–would have to spend $182 a year on lottery tickets. According to Salil Mehta, a renowned academic statistician and Ivy League professor, probability calculations indicate that an estimated 350,000 Alabamians would lose $200,000 of their lifetime savings as a result of a state lottery. Keep in mind, this is in a state with the 48th lowest median household income in the country. A state in which 19% of the people live in poverty and 25% receive government assistance. Who will be better off if the government is permitted to aggressively coax individuals with limited resources into wasting their money on the false hope of getting rich quick? Other states’ lotteries do exactly this–it is not speculation. What could additional government spending possibly offer the people to justify that level of malevolence? 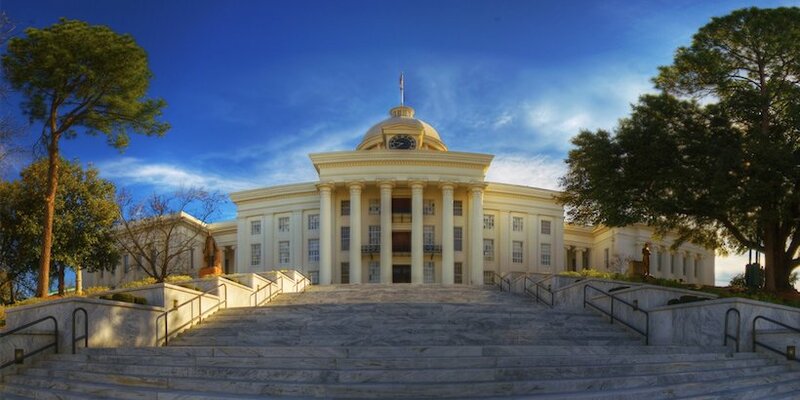 The people should not be fooled into thinking that the debate going on in Montgomery is over an innocuous game of chance or their freedom to play it–it’s about conning them into handing over more of their money without asking too many questions. Make no mistake, the lottery is a tax–a hidden tax, disguised as entertainment, and supplied through a state-run monopoly–and it will almost assuredly lead to more taxes as politicians are further enabled to avoid the kinds of tough decisions that they were elected to make. Katherine Green Robertson is Vice President of the Alabama Policy Institute (API). API is an independent, nonpartisan, nonprofit research and educational organization dedicated to the preservation of free markets, limited government, and strong families. If you would like to speak with the author, please e-mail communications@alabamapolicy.org or call (205) 870-9900. For more on API, please visit www.AlabamaPolicy.org and follow on Twitter @AlabamaPolicy.